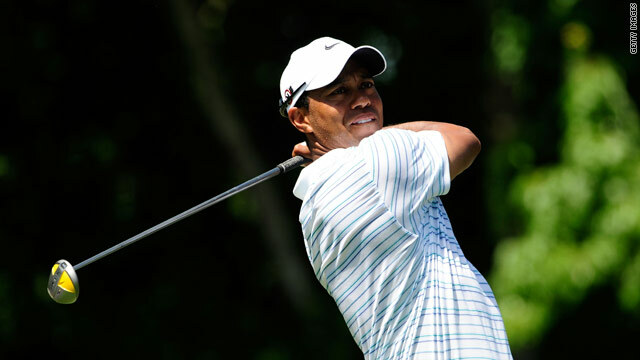 Tiger Woods cannot confirm when he will return to competitive golf following his neck injury. (CNN) -- Tiger Woods has confirmed on his official Web site that he is suffering from an inflamed facet joint in his neck -- and is unable to say when he will return to competitive golf. The world number one, who was forced to pull out of last week's Players Championship with the injury, underwent a scan in Florida on Wednesday which diagnosed the condition. Woods revealed: "When the facet joints are inflamed, it causes pain in the affected area as well as headaches and a lot of difficulty rotating the head. "I now need to take care of this condition and will return to playing golf when I'm physically able." Physical therapy, including soft-tissue massage, rest and anti-inflammatory medicine will be used to treat the injury. And although Woods is expected to make a full recovery, a return date cannot be confirmed until the injury has healed properly. The injury prognosis comes at the end of another difficult week for Woods, whose long-standing swing coach Hank Haney decided to quit his position on Monday. The 34-year-old has played in only three tournaments this season after taking a five month break from golf following revelations about his private life.